Cannabis Chronic is now Dank Weed Delivery! 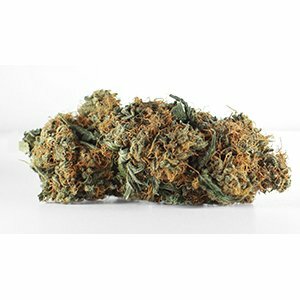 The fastest and most discreet way to source premium-quality marijuana is to take advantage of the weed delivery services available from our online dispensary. We give you access to an extensive selection of Sativa, Indica and Hybrid strains through one convenient virtual store. Whether you want to stock up on flowers and concentrates or you're more interested in shatter, we will package and deliver your order in a manner that evades even the nosiest neighbor. That's what makes us one of the most reliable options for mail order marijuana in Canada. We even have an impressive selection of delicious edibles, so treat yourself to snacks that you can only get through online weed delivery. How do I place an order with Dank Weed Delivery? When you are ready to Checkout, click "Cart" in the top-right corner. Confirm your products and subtotal in your order, if you have a coupon code, enter the code and click Apply Coupon. Select your shipping method “Standard” or “Priority”. Click “Proceed to Checkout” to complete your billing and shipping information. In the Checkout page when you’re satisfied with your order click “Place Order”. Note: By clicking “Place Order” you are accepting our Terms of Service. On the Order Received page, you will see your order number and instructions at the end of the page on sending an Interac E-transfer. ONLY AFTER PAYMENT HAS BEEN RECEIVED WILL WE PROCESS AND SHIP YOUR ORDER. We provide you with instructions for an E-Transfer with your invoice. We only ship orders once the E-Transfer has been received and the order will be processed by us. If we receive your payment by 9am PST (12pm EST), your order ships that business day, or it will be shipped the next business day. What happens after I send an Interac E-Transfer? Once the E-Transfer is sent, it may take up to 45 minutes for us to receive an email notifying us. The order will be pending until we can collect the funds sent by E-Transfer. Once the E-Transfer is received by us, we notify you by email and send you a tracking number once the order has been shipped to you. What happens if I did not send an Interac E-Transfer? We keep the order on hold until the payment is received. If there’s no payment after two days, then the order is cancelled. How do I edit or cancel my order? To edit your order, you will need to create a brand new order and notify us by email “[email protected]” with your new and old order number. Improve relaxation, calm your mind, and sleep better with a sativa strain. Energize your body and stimulate your mind with an uplifting sativa strain. A crossover between indica and sativa strains for the best of both worlds. Great selection of products and fast delivery to my place. I love that the packaging is discreet so nosy neighbours aren’t a problem. Great body buzz and improves my focus so I can get more done with my day. Can’t wait to order again! Buds are strong and healthy and very effective at treating my sleeping problems. Relaxes my mood and I wake up with feeling refreshed. I’m very impressed with the quality. Impressive quality! Some of the best that I’ve tried in the last month. Helps me unwind after work and relax before bed. I look forward to trying more in the future. Dank Weed Delivery is fantastic. Online weed delivery isn't just about enforcing your right to enjoy marijuana products in the comfort of your home. The right strains enjoyed in the most appropriate circumstances can take the edge off social anxiety, focus your mind on important projects and energize your body for challenging workouts. Mail order marijuana in Canada is gaining popularity because it helps motivated people achieve more in their lives. If you aren't motivated, then adding quality weed to your life could help you increase productivity and make progress toward a more fulfilling future. It doesn't matter where you live, what goals you're chasing or what obstacles you're facing. Marijuana doesn't discriminate when it comes to easing the impact of stress so that you sleep better by night and accomplish more by day. Are you ready to see how online weed delivery could change your life? 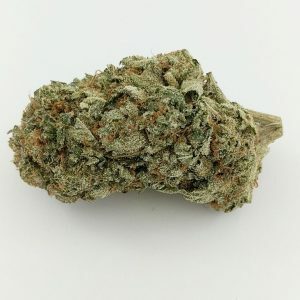 That may sound like an exaggeration, but Dank Weed Delivery can save you time and money by providing a large selection of marijuana products that are always of the highest quality. You don’t have to call around town or talk to your friends to find the best weed in your local community. Our online dispensary allows you to visit one website at any time of the day or night to find that quality pronto. The faster you order, the faster we can deliver, so let’s get your order started now.